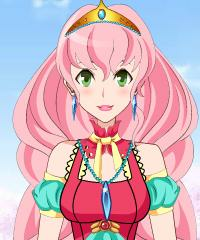 Beautiful and fun anime princess game. This is a dress up game with an outfit creator and you can be a real designer and design the perfect outfit for this cute girls sweet 16 birthday party. This game has so many options and possibilities. This game has simular functionality as our popular Disney Heroine Creator dress up game.